A rarely seen blended whisky from Gordon and MacPhail! 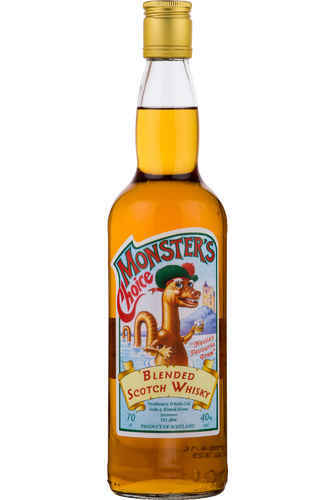 The famous and venerable whisky bottlers have turned their hand to blending with this kitschy little expression, said to be the Loch Ness Monster’s favourite dram! Gordon and MacPhail have a very good reputation, and thus this blend is of a good quality, offering superb value for money. Some drinkers have rumoured that this is a blend of the fine old casks that they could not bottle for whatever reason. Nose: The aroma of the whiskey is made of sweetish and spicy notes of supplemented smoky and fruity notes. Palate: Pleasant, soft, harmonious taste of whiskey shows elegant fruity notes on the background of spicy shades. Finish: Much like the nose and palate with the spice lingering with refreshing fruit also featuring.